Our 2 year old boy used to climb on a dining chair to watch what we were doing. 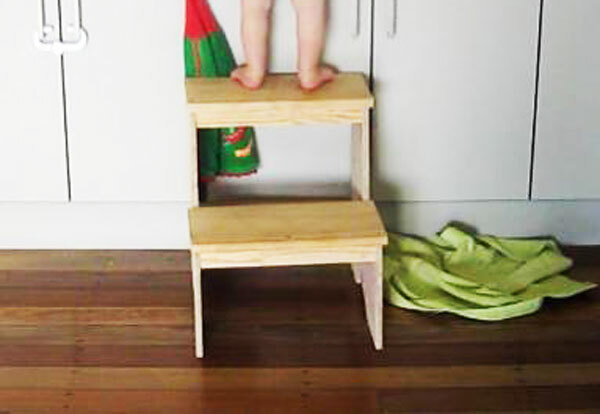 That is why we built him a step stool, about 18″ high that he climbs on to. Now, he watches us cook and at the end of the dinner he plays with the rinse water. We adjusted the dimensions to make the top step the same height as the dining chair.